Headaches are a condition that affects millions of people across the San Diego area and the entire world. Estimates in America say that out of 100 people, 12 have migraines.1 Due to the large number of people that suffer from headaches and the debilitating effects, they are also causing headaches for many healthcare providers. British researchers have recently established a timeline of when to start expecting certain health conditions. Migraines are to be expected at the age of 24 according to this new study.2 This should be somewhat of a shock to many people as migraines are not something that should happen, especially at such a young age. Migraines are a condition that is often a result of the body not being able to adapt properly to stress. 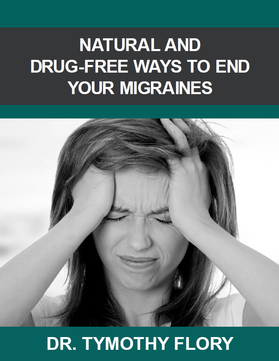 A more natural approach to treating migraine headaches is helping many people regain their health. Migraine specialist Dr. Tymothy Flory is able to provide natural relief to headache patients through upper cervical chiropractic care. This unique treatment is focused on finding the fundamental cause of migraines, typically the Atlas bone (C1 vertebra). Research has shown a high correlation between an Atlas misalignment in the neck with patients suffering from headaches. When the Atlas is properly aligned, the brain and nervous system can function optimally improving many conditions in the body. Once this is achieved, the body can properly self-regulate and begin the healing process. Cluster Headache. http://www.migrainetrust.org/factsheet-cluster-headache-10908 (accessed 20 November 2015). Pickles K. Grey hairs at 39, arthritis at 40 and migraines at a mere 24: New timeline reveals the ages at which common ailments are most likely to strike. http://www.dailymail.co.uk/health/article-3314008/Grey-hairs-39-arthritis-40-migraines-mere-24-New-timeline-reveals-ages-common-ailments-likely-strike.html (accessed 20 November 2015).